Kevin Loring is a Canadian playwright, actor and teacher, and was the winner of the Governor General’s Award for English Language Drama for his outstanding play, Where the Blood Mixes in 2009. A Nlaka’pamux from the Lytton First Nation in British Columbia, Loring created the Songs of the Land project in 2012 in partnership with five separate organizations in his home community. The project explores 100-year-old audio recordings of songs and stories of the N’lakap’amux People. Loring has written two new plays based on his work with the community including Battle of the Birds, about domestic violence and power abuse, and The Boy Who Was Abandoned, about youth and elder neglect. A versatile artist and leader Loring has served as the co-curator of the Talking Stick Festival, as Artist in Residence at the Vancouver Playhouse Theatre, as Artistic Director of the Savage Society in Vancouver, as a Documentary Producer of Canyon War: The Untold Story, and as the Project Leader/Creator, and Director of the Songs of the Land project in his home community of Lytton First Nation. 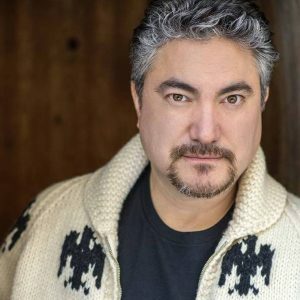 Kevin was recently named the first Artistic Director of Indigenous Theatre at the National Arts Centre, in Ottawa.